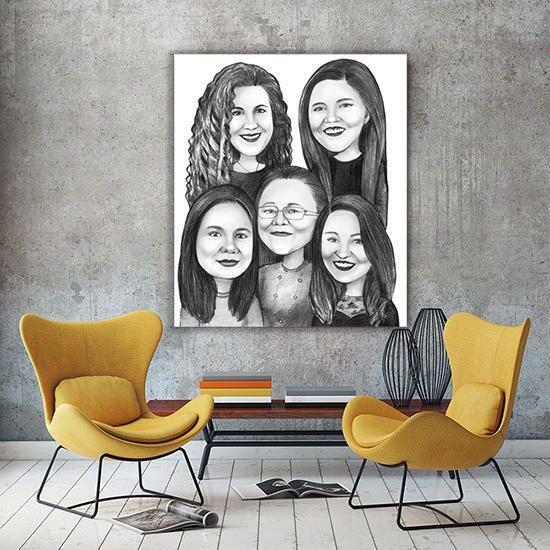 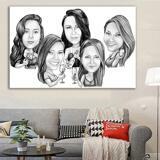 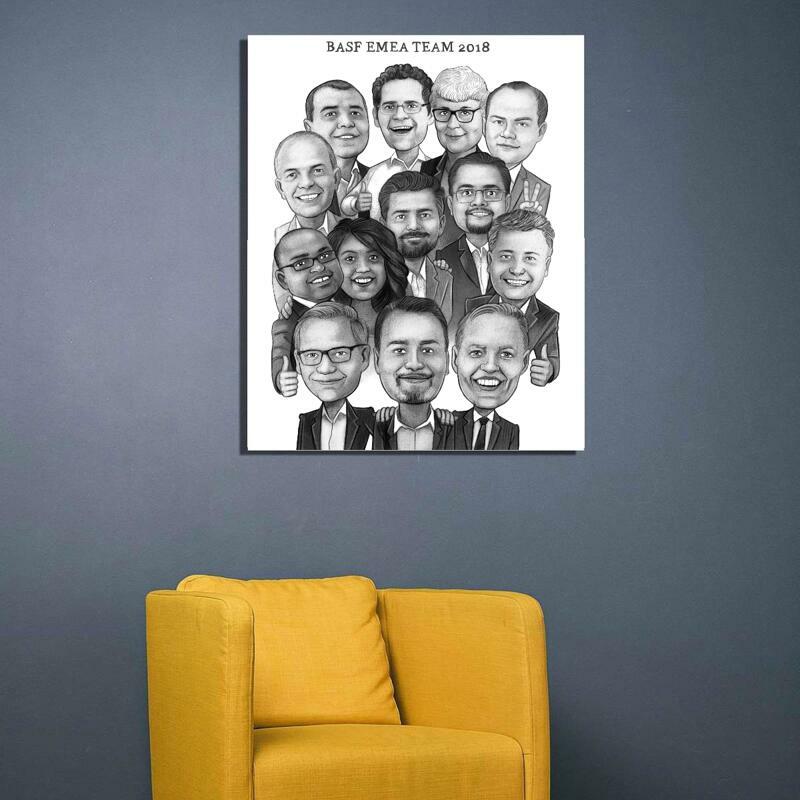 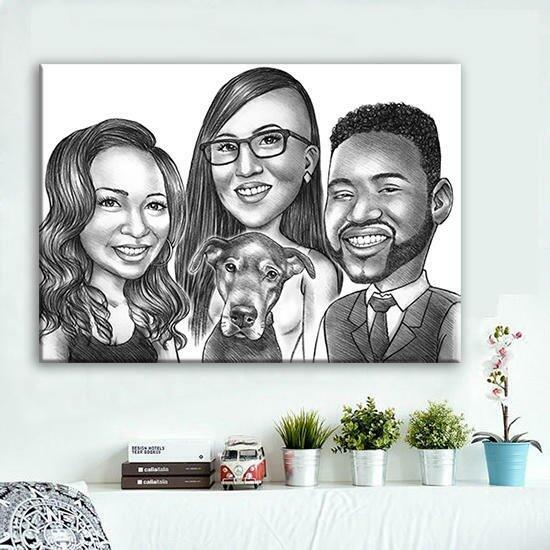 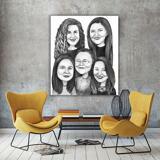 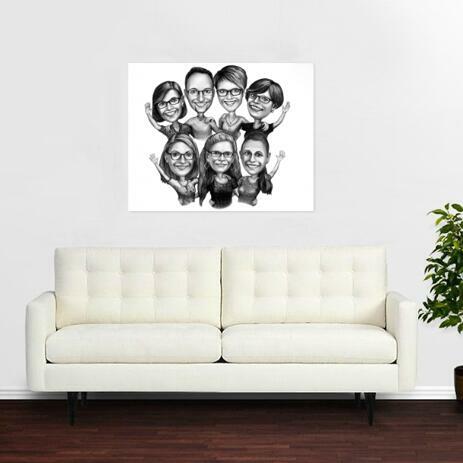 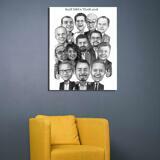 Get a personalized group cartoon which will be printed on a white stretched canvas of any selected size. Canvas will be delivered as a high quality wall print which can be used at once. 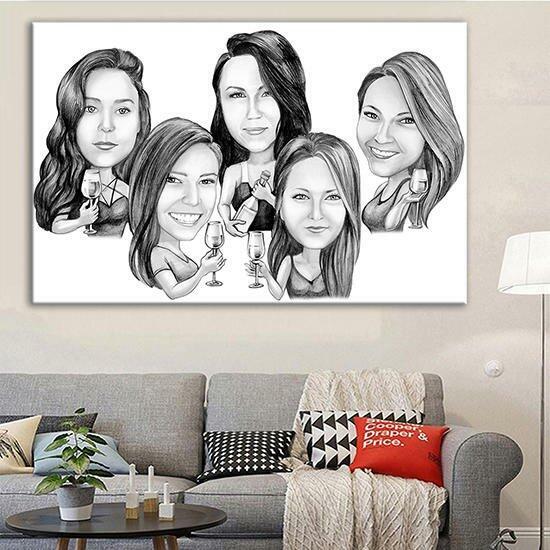 In order to get a beautiful group cartoon, it is necessary for us to receive your ideas and requirements regarding drawing. 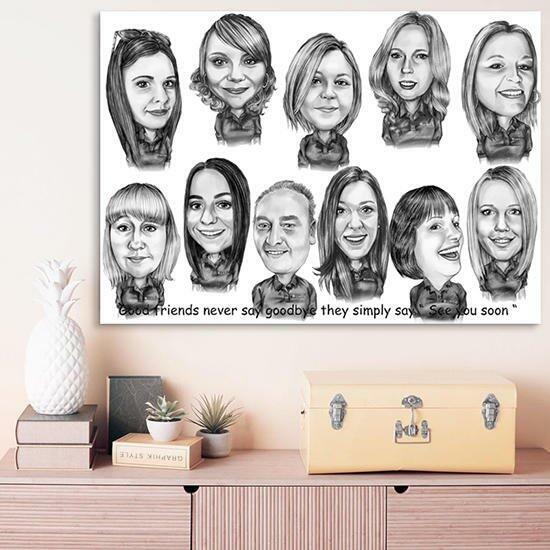 Pencils Cartoons are really good for keepsakes and gifts due to their unique and funny concept to be drawn on someone in honor of any special occasion, whether on Birthday, Retirement, Mother's Day or any other upon your wish. 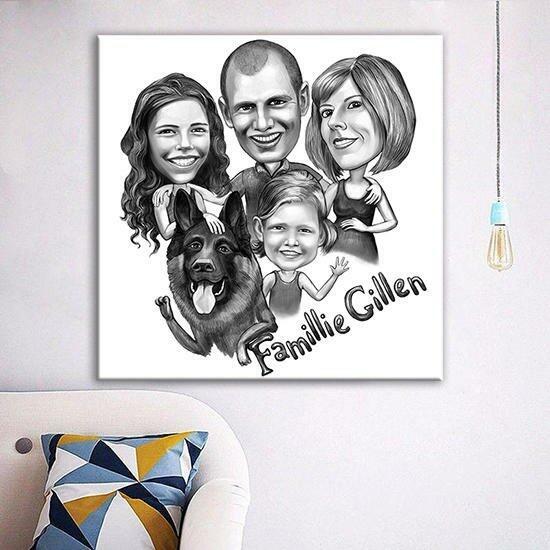 The ready-made drawing will be delivered as a digital JPG File for approval, then printed on a white canvas and delivered worldwide to the addressee.